Aboriginal signage themed on country, language, plants and animals, the Wahlubal tribe and the Rocky Creek tribe. These two sites, Flat Camp and Buzby Flats are west of Casino in northern NSW. Specs: 3 large panels 1200 mm wide x 1000 mm high. 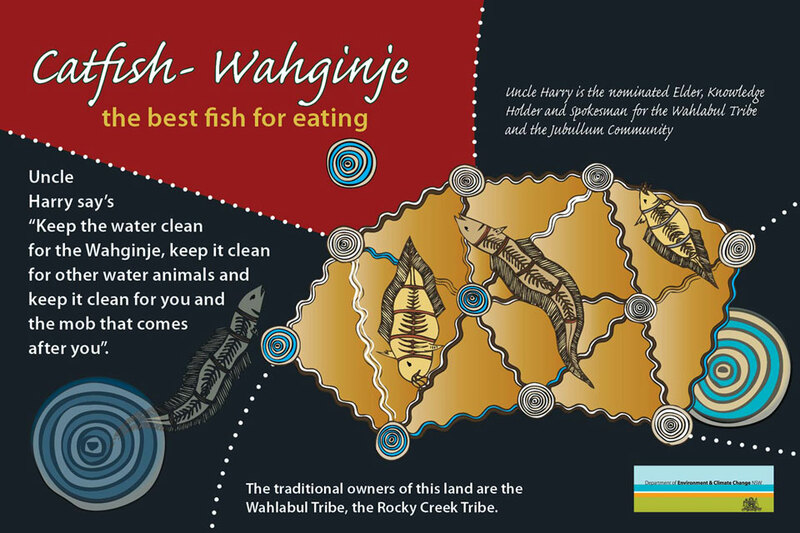 2 x smaller signs – the Kangaroo and Catfish – are 450 mm wide x 300 mm high. Jubullum Flat Camp Aboriginal Area is located within the Country of the Bundjalung people. Located near the village of Tabulam, the reserve covers 7 hectares. It is the site of burials and a place of return for ancestors to Country. 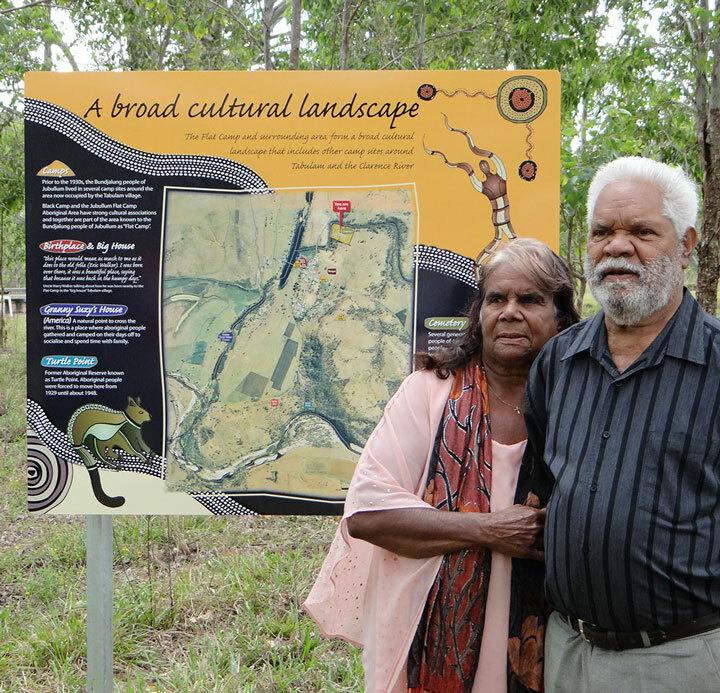 The reserve symbolises a period of independence of the Bundjalung people of Jubullum and is a place that realises their hopes of reconciliation with the wider community as well as regaining control over traditional lands. 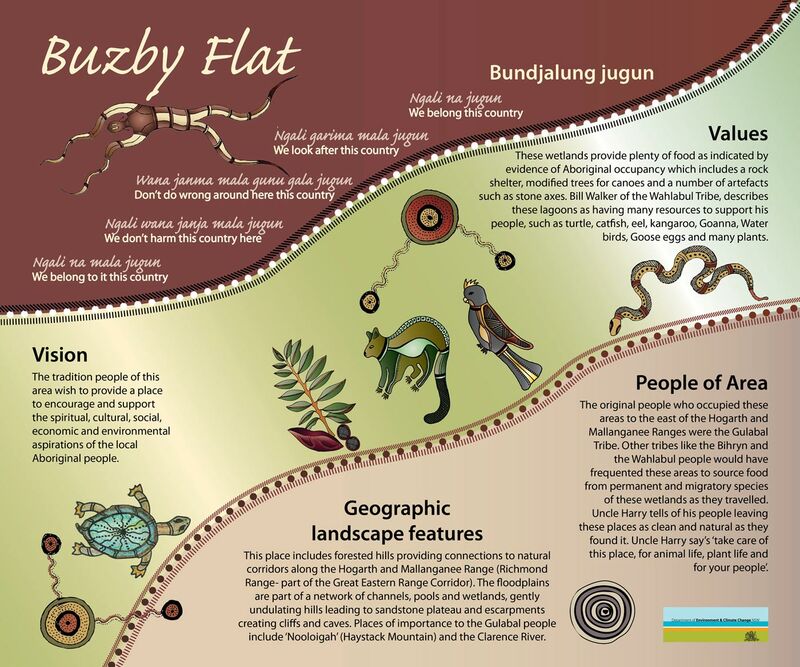 Buzby Flat – The original people who occupied these areas to the east of the Hogarth and Mallanganee Ranges were the Gulabal Tribe. Other tribes, like the Bihryn and the Walabul people, would have frequented these areas to source food from permanent and migratory species of these wetlands. 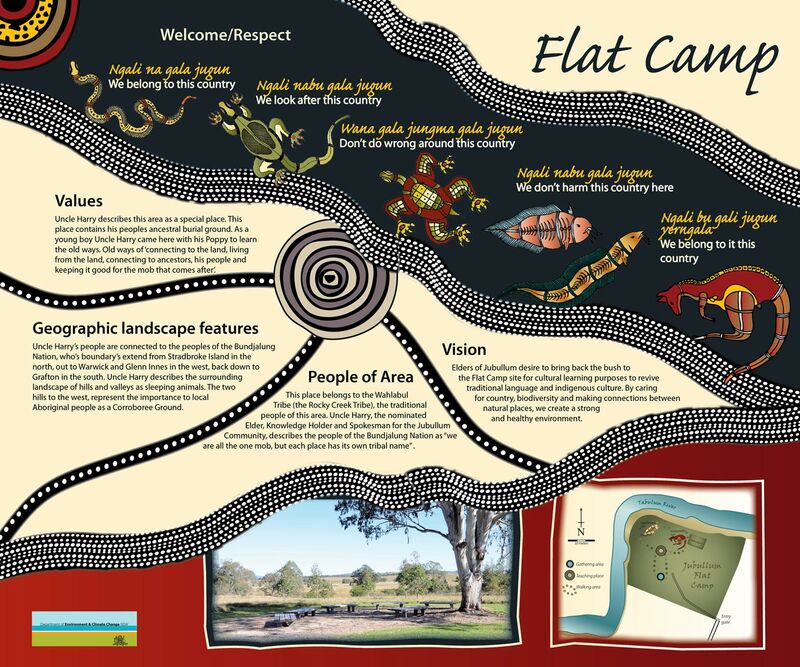 Graphic Design: Beautiful aboriginal artwork formed the basis for all 4 panels – the black and white illustrations were coloured in Adobe Illustrator. Aboriginal language is showcased in a different font and strong earthy colours were used throughout.